A simple but very useful mod that adds ghast spawn egg in Creative mode! 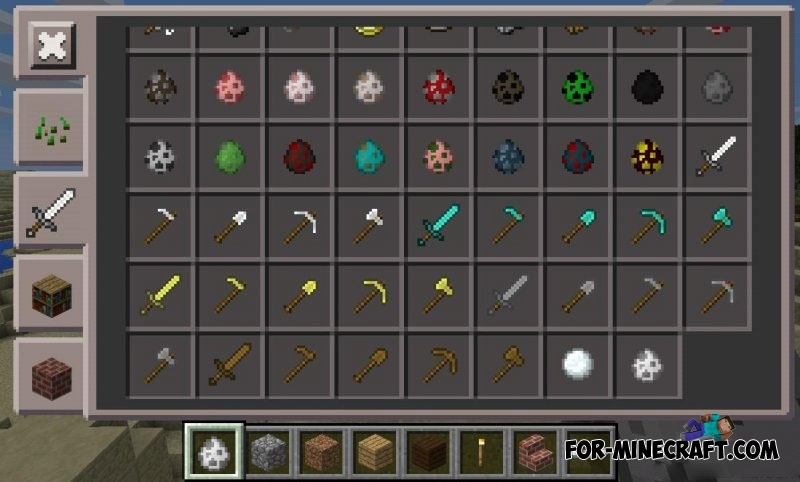 After installing the script, white Ghast spawn egg will be at the bottom of the inventory, as shown in the screenshot. BrewingPE mod for MCPE 0.10.5The mod adds a lot of new things from the PC version - Potions, Ghast, Blaze! Ronald ur wrong its a zip file u need to extract it using es explorer. ...found in google playstore if u have i phone or ipad download it from app, itunes store.